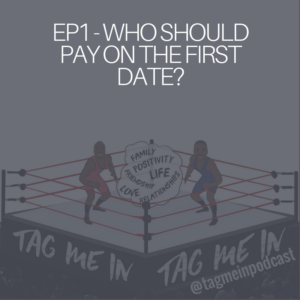 Who should pay on the first date? Are we living by ancient values when it comes to dating? Questions like these tie into are internal values, these values dictate how men and women should behave and it is these values that dictate how each gender should behaviour or act when on a first date. There are no right or wrong answer to this question and we are entitled to opinions. We all have different values but the important note is not to conform to the values placed upon us by society. As two young males growing up as millennials we have similar but different view when it comes to dating, interestingly our common ground stems from us questioning society and breaking the social definition of a “Man”. So who do we believe should pay on the first date? It all depends on who asking out who on a date. However from our experiences of being asked out (it has happened), we found that the expectation to pay has still been placed on us? Is that how it should be? And would it be wrong to go “Dutch”? There is no problem with splitting, the only issue we have is when someone is half-hearted with their approach or even turning up on the date without their purse. As mentioned before we all have different opinions but this was a fantastic read – why one woman pays for dates – and she is right. A majority of men will believe they are entitled to something because they paid for the date. So how do we approach dating? We are both casual dater, we favour a simpler date setting such as a bar or a coffee shop which removes any indirect influences like being in a beautiful romantic restaurant. By building a connetion on the simple things in life you get a feel of your date, it is at this stage we take it to the next level and go on a fancy dinner date. We have decided that dating should be reinvented, do something you both likeo, keep it simple and get to know each other first. Listen to Tag Me In Podcast and hear our opinions on dating in as millennials. Hi there,I check your blogs named “Who should pay on the first date? – Finishing Product” daily.Your writing style is awesome, keep it up! And you can look our website about love spell.